The Gaza conflagration may not be over, but Israel can already chalk up one clear victory: Its hasbara (pr efforts) led even Europe's leaders to issue one-sided condemnations of Hamas. Nitsan Keidar is a well known Israeli journalist and a weekly columnist on diplomatic and political issues in the Besheva Hebrew newspaper . 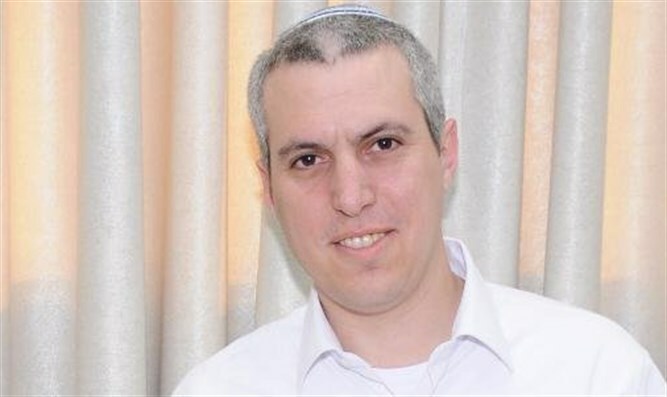 He is also diplomatic correspondent for Arutz Sheva and has been accompanying the haredi radio stations news departments in various editorial, broadcasting and advisory positions for over 15 years. The security establishment estimates that we are being subjected to a brief round of trial and error on the part of Hamas in which the recent wholesale launching of rockets served as a way to test the level of Israel's reactions. The prevailing opinion is that things will soon die down, but even those who predict a reduction in violence realize that the situation is incendiary - and that one match could set off a blaze that will be hard to bring under control. Neither Israel nor Gaza is interested in launching a large military operation right now. The Gazans are still licking the wounds of the previous operations and Israel is not in the mood for a fight. A senior political figure told the Besheva Hebrew weekly that if a military operation becomes necessary, it will not be in response to something, but instead, will be a well planned offensive with wide ranigng results that strikes the heart of Gaza. 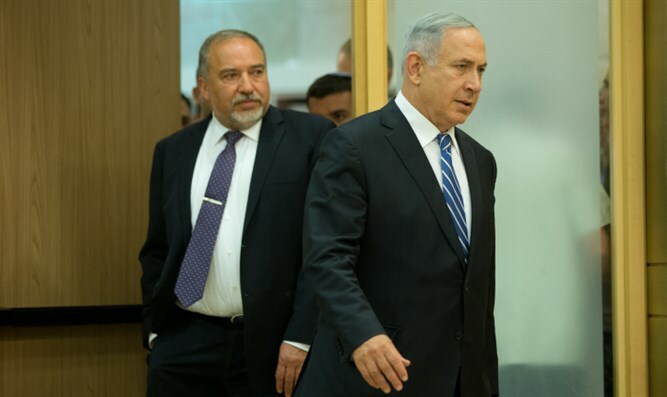 Security sources elucidated various possible scenarios to Prime Minister Netanyahu and Minister of Defense Liberman. The government's instructions were to be prepared for both the status quo and escalation. "We will not allow for a situation where there are tens of rockets daily" said a security source, "Either it stops -or we will have to make it stop the hard way." Meanwhile, the political echelons are trying with all their might to portray the situation in the right light, especially vis a vis the world. There were a good many rockets that did hit targets, there was a flotilla that attempted unsuccessfully to break the Gaza blockade - and Israel's hasbara put in long hours making the most of those events. And they did the job: One photo of the rocket that hit a kinderrgarten playground was enough for the world to see the difference, at least momentarily, between the good guys and the bad guys. The EU, surprisingly, did not talk about the "two sides" this time, placing the blame on one side only. "The shooting of rockets and mortars by armed Palestinians in Gaza over towards Israel must cease immediately," said the official EU notice, "and random attacks on civilians are not acceptable in any form. It is urgent to prevent escalation of this dangerous situation in order to ensure protection of civilian lives." This was actually a low grade response compared to others. The Austrian government's spokesman publicized a much sharper one: "Mortar attacks on kindergartens and civilians in Israel are most certainly not the way to solve Gaza's problems, and must be stopped forthwith. Austria supports Israel's need for security." Canada's prime minister, who often shows excessive understanding for the Palestinians, strongly condemned the attack. The French government publicized a sharp condemnation while the British Minister in charge of the MIddle East portfolio said that Hamas had "crossed a red line." All this is without mentioning the USA, the uncompromising support of Nikki Hailey who tried to get the Security Council to condemn the Palestinians, and the public support of US government officials, senators and congressmen for Israel. In my article last week, there was a list of complaints about Israeli public relations. Foreign Ministry spokesperson Emanuel Nachshon made it clear this week that the criticism is uncalled for. We had written about the world's anti-Israel reactions to Hamas provocations near the border fence and its use of civilians, but Nachshon showed us that over 7 million people were exposed to israel's hasbara on the different social media outlets. This week was even better. It was an unconditional hasbara victory. When all of Europe supports Israel's right to defend itself and condemns Hamas, the Foreign Ministry can mark its hasbara efforts with a huge V and concentrate on keeping them that way. Intensive efforts by the Israeli foreign office and diplomats around the world knew how to turn the table on Hamas this time: It made Hamas realize, as the terror organization tried to drum up support for the "poor Gazan civilians," that once it broke the rules of the game - Israel simply changed them. This was evident in the calm way in which the prime minister conducted himself this week: Frequent discussions, but no declarations that would lead to sharp responses from the other side, making sure not to be drawn into situations but, instead, controlling them. At the height of last Tuesday's shooting, Netanyahu's office publicized a notice that he was going to extend his stay in Europe, planned for the following week, by another day. Netanyahu set out for a round of meetings throughout Europe. Beginning in Berlin on Monday with Chancellor Angela Merkel, he will continue on to Paris to meet President Emanuel Macron, then go on to London to meet with UK Prime Minister Teresa May. While it is true that these meetings were planned in advance, their timing is good for Israel and the extra day bears two messages: First, Israel feels it is important to take advantage of this period to continue to explain its policies to the world, while all the doors are wide open and there are listeneners behind them willing to hear and internalize Israel's messages. Netanyahu is an expert at explaining the dangers of Hamas aggression and especially good at tete a tetes with world leaders. The second message is "business as usual." Netanyahu makes it clear that Hamas will have no effect on Israel's plans and without his saying a word, Hamas is capable of understanding that if they cannot change Netanyahu's plans, he may end up changing theirs. These two messages are possibly the most significant result of the current escalation..
Nitsan Keidar is a well known Israeli journalist and a weekly columnist on diplomatic and political issues in the Besheva Hebrew newspaper .He has been accompanying Israel's haredi radio stations' news departments in various editorial, broadcasting and advisory positions for over 15 years. Translated from the Besheva Hebrew weekly by Rochel Sylvetsky.